The September issues of the shelter magazines are serving up major style in big, big doses and Architectural Digest is no exception. 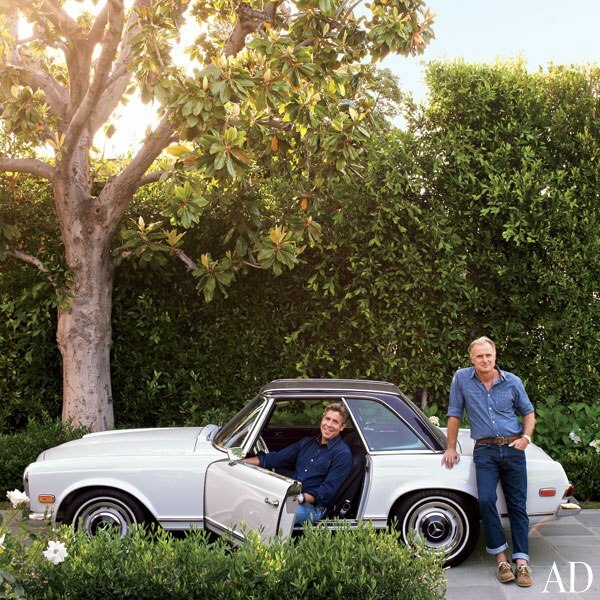 The new issue of AD features Ralph Lauren's various homes-- it's interesting to see how his personal lifestyle is translated into his brand-- and along with Lauren's houses, the home of fashion executives Dave DeMattei and Patrick Wade. DeMattei and Wade moved from San Francisco to Los Angeles three years ago when they took over as CEO and Vice President/Creative Director of Lucky Brand. After living in a Mediterranean-style house in West Hollywood, they eventually settled in this stunning Beverly Hills home. This is the type of style that resonates so deeply with me. Their home features the perfect mix of masculine/feminine, modern/traditional, vintage/new. The house is beautifully layered and I love that they were fearless in using bright colors and bold prints. The 5,000 square foot 1920's Italianate house was remodeled in the best way possible-- paying reverence to its architectural provenance while adapting to the couple's modern lifestyle. Each room is more stunning than the next. Which space is your favorite? This house is absolutely amazing. 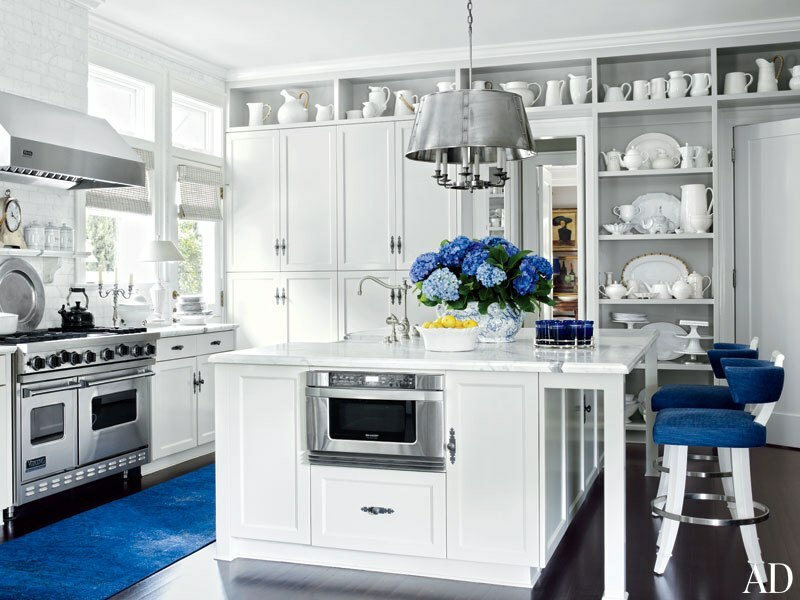 Love all the blue accents! SO gorgeous. Perfect mix of modern & traditional. Beautiful house. My only question is: Why is front exterior of the home never shown in any of these home profiles? It would be great to see what kind of curb appeal these gorgeous houses are rockin! 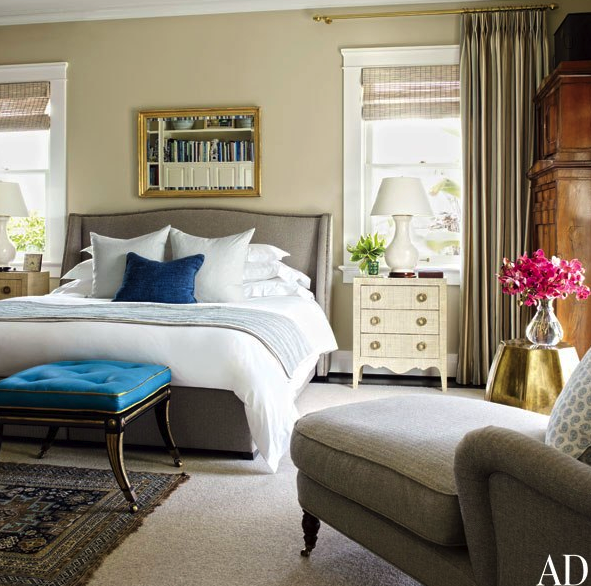 What an elegant home of Dave Demattei and Patrick Wade. Their property serves as inspiration for those who want to have a stylish home like theirs.